Northern Soul is a truly life-affirming musical movement and one for which vinyl was – and still is – the driving force. It’s a scene that was built entirely around records and the vast majority of those exalted 45s central to the Northern scene would never have had their day were it not for one particular group of innovative soul spinners. We’re talking about those DJs who fell hard for the heavy beats and raised tempo of a particular kind of (mostly) mid-60s soul – chiefly singles that emanated from the lesser American independents. These were upbeat, uplifting records that struck a chord with a working-class audience desperate to dance away the weekly grind. From the late 60s and through the 70s, numerous all-nighters and club nights began to spring up across the North that commandeered local venues as hubs for the blossoming new scene. out on the floor – to whichever 45s appeared in an ever-growing playlist of mood-elevating creations. It was all about which club broke which record, and the rivalries were huge. The rarer, the more obscure the record, the more revered it was amongst the aficionados. 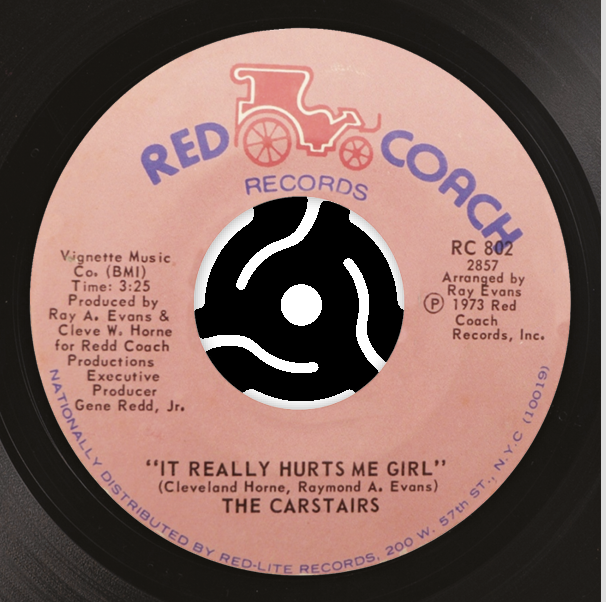 Some of these 45s were even issued with erroneous names, to throw collectors off the scent. With intrepid DJs such as Bob Dee, Colin Curtis, Ian Levine, Kev Roberts, Richard Searling, Tony Jebb, Keith Minshull and Russ Winstanley regularly uncovering new floor-shaking sounds from across the pond, the subculture of all subcultures began to flourish. The fashion was super-wide flares, knitted tank tops and sewn-on patches; the dance style a raucous blend of high kung-fu-style kicks, knee drops, flips and super-speed spins – often aided by a frictionless talcum-powdered dance floor. Billy shared his ample vocal talents with his older brother, Impressions main man Jerry Butler. 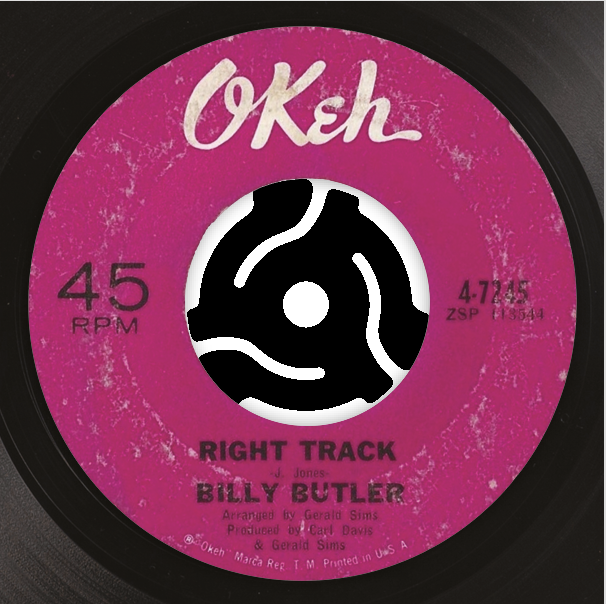 On this, written by Chicago songwriting duo Gerald Sims and Carl Davis, Billy’s pipes are in jubilant form – no wonder it was a mainstay of the emergent UK Northern Soul scene. Circling around a simple piano and guitar interplay and with a pounding beat that takes it to a truly rhapsodic crescendo, it’s feelgood to the max. Though a flipside, it finally got its due when Soul City Records issued a re-release in April 1969. An illustrious stomper set in motion by a mighty guitar riff, I Got To Find Me Somebody was penned by Marcene ‘Dimples’ Harris while she was still a teenager. 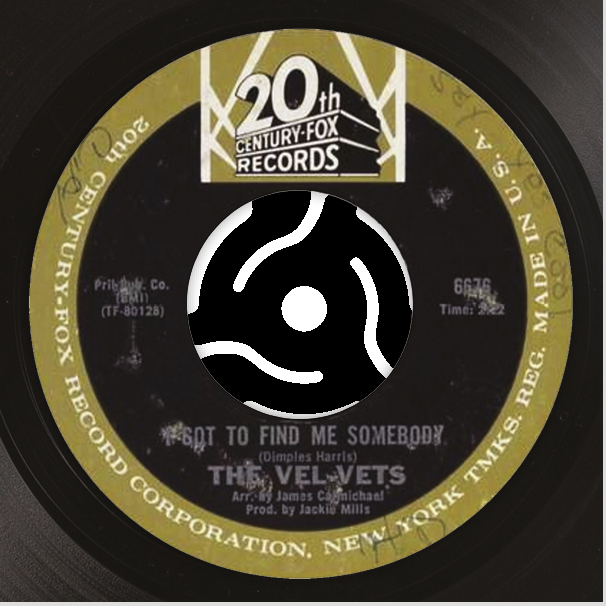 Driven ably by lead chanteuse Janet Terrell, LA trio The Vel-Vets appropriated it in 1967, but it wasn’t until 1974 (when it was first aired at the Blackpool Mecca) that its popularity boomed. It was rebooted in the UK by PYE International almost immediately. The £1,000-plus original is virtually impossible to track down. 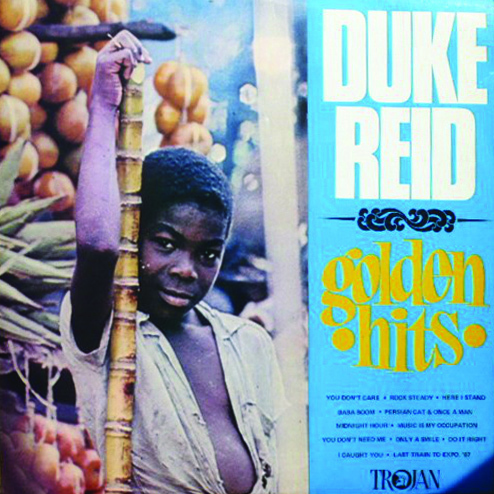 Written by Cleveland Horne and Raymond Evans, this mainstay was produced by Gene Rudd, who issued it through Red Coach. While it died a death on release, it was rejuvenated by DJ Ian Levine who first brought it to the UK. It was a gutsy move. An early prototype to disco, this cut straddled the gap between late-60s soul and the Philadelphia Sound of the 70s, and split his audience. The Carstairs were eventually tracked down in 1998 to perform at a Mecca reunion. Arriving on these shores at the end of the 70s, this is one of the most famous Northern releases, not only because of its obvious quality, but also because it is both the rarest and most expensive 45 under the Northern Soul umbrella. 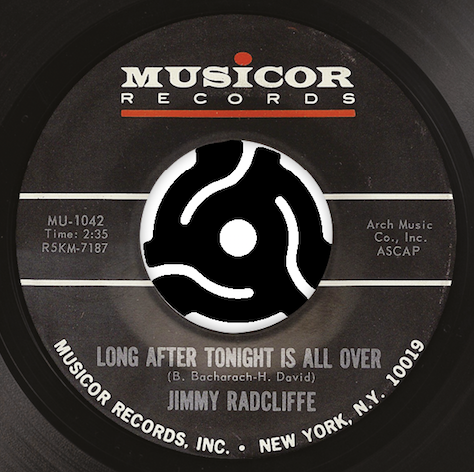 Cut at Armin Steiner’s Sound Recorders in LA in 1965, it was hastily archived by Motown when Wilson agreed to focus on his producer role within the label (Frank would go on to pen tunes for Mary Love, Jeanie King and The Ikettes). Only two original copies are known to exist and the last time one changed hands, it sold for just over £25,000 – the buyer was rumoured to be Wilson himself. 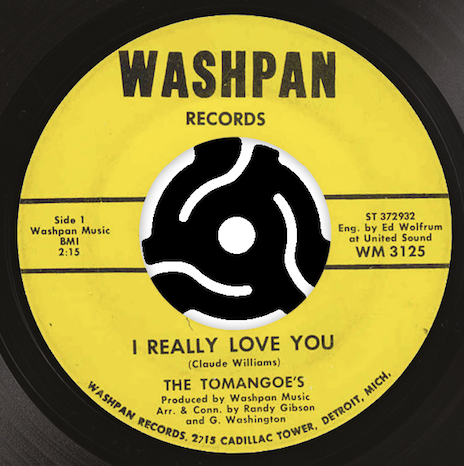 A bootleg (pictured) surfaced in 1965. Texan Gray grew up with gospel music ringing in his ears thanks to his grandfather, a baptist minister. A move to California led him to Sonny Bono (then A&R with Specialty), and Gray’s initial dream to be an actor was replaced by a full-time singing career when Bono directed him towards indie label Stripe. 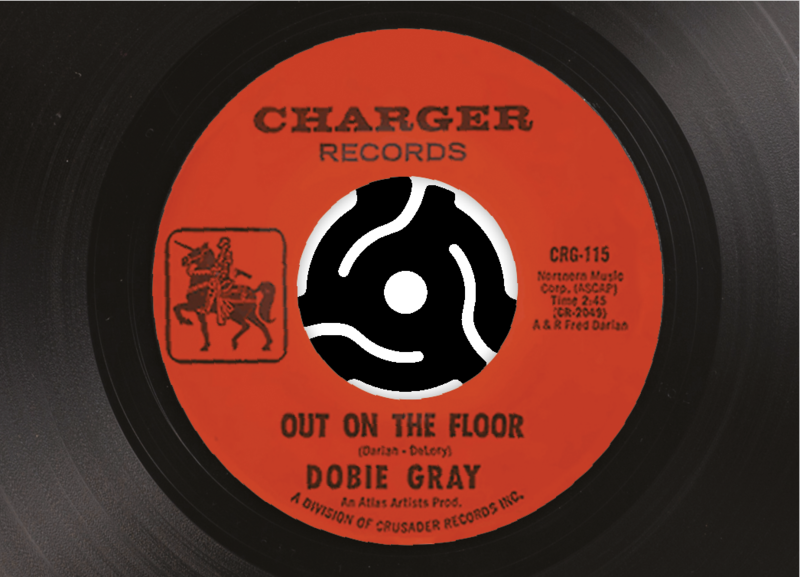 A lane change to Cor-Dak in 1963 brought Gray his first minor strike (Look At Me) and a move to Charger landed mainstream hit The “In” Crowd, issued in 1965. Our pick landed the following year. Part of the wave of imports that flooded into the UK in the 70s, this was the finest of LA soul wired to the North. Its 1975 Black Magic reissue was a UK hit. A talented songwriter, producer and multi-instrumentalist, New Yorker Radcliffe was originally lead for vocal quintet The Fascinators, until he inked a deal with Musicor and secured airplay for his own creations. This classy offering was intended as a demo for Gene Pitney, but instead remained with Radcliffe. Jimmy took the song to No. 40 in the UK in 1965, via Stateside. With the ideal title, it became the curtain call for Wigan Casino’s infamous all-nighters. This very rare offering of slick Detroit soul was another of the Northern scene’s go-to platters. While this group is another shrouded in mystery, one certainty is Detroit’s primal R&B singer ‘Jumpin’’ Gino (not Geno) Washington produced the disc. The rumour mill has long conjectured the singer was Dusty Wilson, but Gino finally settled the matter on YouTube in 2012, when he appeared alongside Dusty Williams, the true voice of this fantastic waxing. This 45 has become hot property: one sold for £3,000 in 2016. Jones was ‘discovered’ by songwriter-producer Ed Cobb, who wrote and produced her first two solo efforts: Heartbeat (Pts 1 and 2) made the charts, while My Bad Boy’s Comin’ Home, did very little. If more attention had been paid to the B-side, things may have been different. Nearly a decade later, the record reached the Wigan Casino to great acclaim, earning Jones the title of ‘Queen Of Northern Soul’. She was also Marc Bolan’s girlfriend, and penned various cuts for Motown’s stars. Various members had charted previously with both The Jay Hawks and The Marathons, but The Vibrations’ first hit My Girl Sloopy (Atlantic, 1964) truly announced the arrival of these eventual LA soul giants. First introduced to soulies via the Blackpool Mecca, this Gamble and Huff-penned monster is brought to life via the sheer brilliance of lead vocalist Carl Fisher, never more evident than in the grooves of this classic floorfiller. “This track knocks you sideways by the fourth bar and continues to race against time, leaving you collapsed in a heap of delight,” says Northern Soul guru Kev Roberts. The candid yet brilliant I Took An Overdose sits on the flip. Chicago‘s The Dells were among the longest-running R&B vocal groups in history and set the bar impossibly high for all those in their wake. They made the transition from 50s doo-wop into 60s soul look effortless, and their revitalised sound served them for many years. Formed at high school as The El-Rays, the group eventually settled as a five-piece and changed their name. When Vee-Jay issued Oh What A Nite in 1956 (their first million-seller) it was clear The Dells were a cut above, thanks in part to the roof-lifting tenor of Marvin Junior. 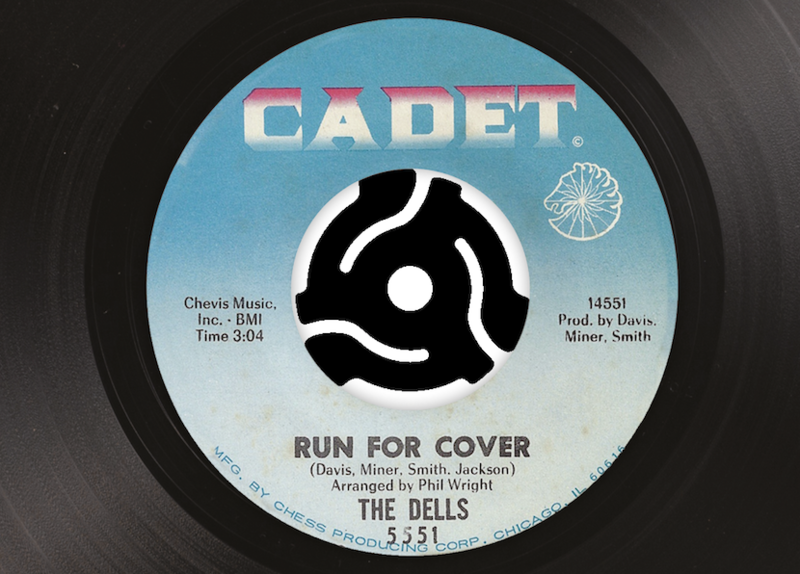 Run For Cover epitomises everything that’s great about Northern Soul in its grooves – liberating, melodious and fashioned for the floor. Another Northern Soul standard that inexplicably found its way onto the flip, Seven Day Lover was released on Atlanta producer and songwriter William Bell’s Peachtree label. During the first wave of Northern Soul, Ian Levine was the owner of the only known copy of this record. As a result, when a second 7″ was outed in the mid-70s, it sold for a record price. Fountain is right in the pocket here, making this one colossal soul tune. Bell’s ample production skills are in full force, too. The 45 was reissued by Cream in the UK in 1976, with our chosen item rightfully placed as the main attraction. Depending on condition, originals can go for over £800. Clarke was originally employed by his mentor, Chess A&R Director Billy Davis, as an in-house songwriter. 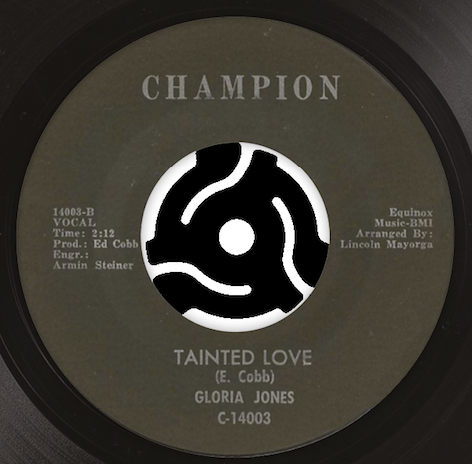 He and Davis co-wrote two minor hits for Etta James, opening the doors for Clarke to try his hand with a dozen of his own mighty waxings. Early attempt The Entertainer made the US Top 40 in 1965 and scored regular spins at Manchester’s Twisted Wheel club, while this belter would find favour far later, in the early days of the Casino club. 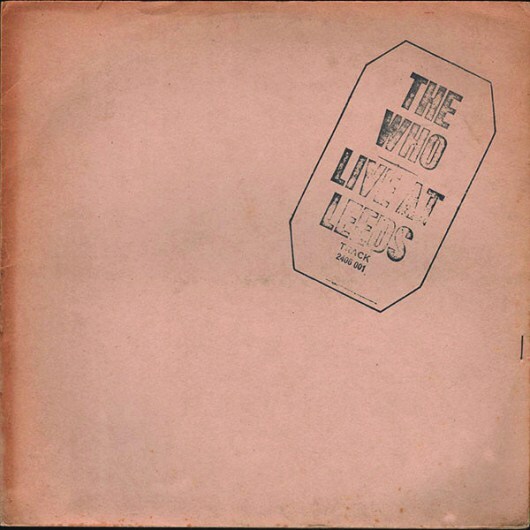 The demo of Landslide remains one of the Holy Grails of Northern Soul. Clarke was later to cameo in the movie They Call Me Mr Tibbs! and wrote I Don’t Care, a UK hit for Los Lobos. He was shot dead, aged just 31. Many people would have first heard this tune on an advert for Felix cat food at some point in the 80s, but its heritage is a great deal more respectable. First issued by Kapp in the late 60s, this exceptional example is yet another with a somewhat perplexing lineage. Few people know who Rubin was and, aside from the treasures held in the grooves of this 45, plus a Billboard ‘Spotlights’ chart that tipped the record on release, very little else is known. The Soulies drank it in and a bootleg appeared on the Rita label in the mid-70s, while MCA cashed in on its sudden popularity soon after. You’ve Been Away is one of the finest Northern dancers and is one seriously valuable 45. Bronx local Charlie Ray Thomas cut his teeth in a vocal group named The Dealers, who opened for Otis Redding and James Brown. The name change came when Thomas signed up to join The Drifters in order to differentiate himself from long-time member Charlie Thomas, who had left the group. Don sang bass with the group between 1969 and 1971. After that lofty tenure, he went on to author this three-minute wonder, installed as part of the early wave of ‘modern’ soul tracks that landed in the scene in the 70s. The track was reissued on Vee-Jay in 1975 and – boo! – an Ian Parton remix of the track was used in a VISA ad in 2009. Parrish made minor in-roads with this 45 and carved out a moderate footing on the US soul circuit. 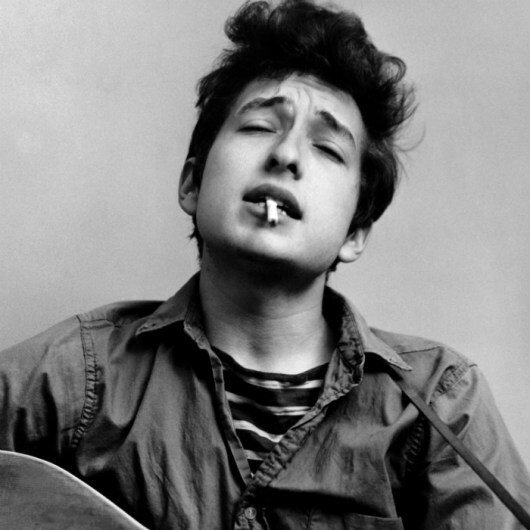 By the late 60s, he’d sidelined music in favour of acting jobs. Had he known how popular he’d become across the pond (he sold over a million but remained blissfully unaware), perhaps he wouldn’t have been so hasty. Unique thanks to the fuzz guitar and an unusual arrangement, this record was unearthed by DJ Russ Winstanley and holds the honour of being the last 45 played at Wigan Casino. 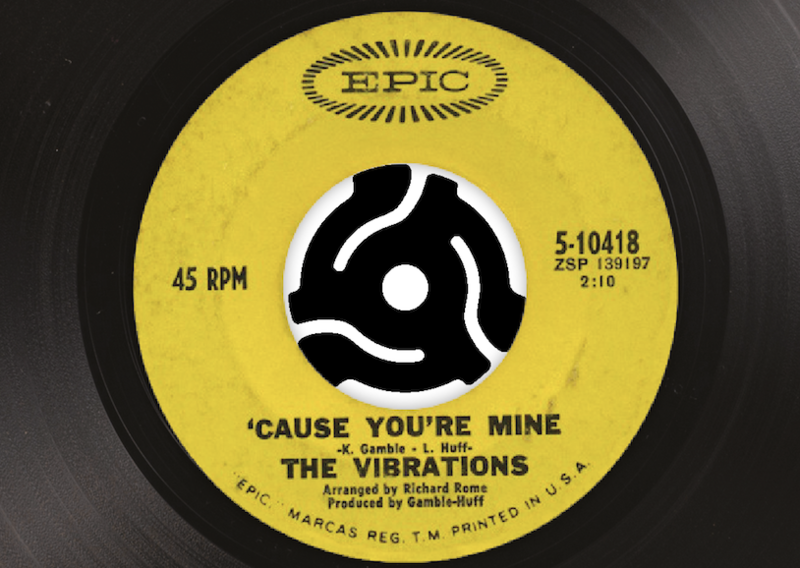 With an uncommon line-up of three girls and a guy, Queens foursome The Exciters were dynamite incarnate, amply exhibited on their United Artist hits Tell Him (1962) and Do-Wah-Diddy Diddy (1963) – the former a US No. 4 hit produced by Leiber and Stoller, the latter brought to fame via Manfred Mann in ’64. Spearheaded by husband-and-wife team Brenda Reid and Herb Rooney, it is on this groove-bound dancer, however, that their faculties truly come alive. One of the massive Northern dancers, this essential mood elevator was initially uncovered and bootlegged in the 70s as ‘Moses Smith’, to befuddle collectors. The true source was a group of white New Jersey musicians fronted by Eugene Thomas, a black soul man. Robert Paladino co-wrote the music here, and produced it in a studio built within a cinema, utilising the venue’s former men’s room for the natural reverb. The record reached No. 11 in Cleveland… It’s now worth upwards of £200. 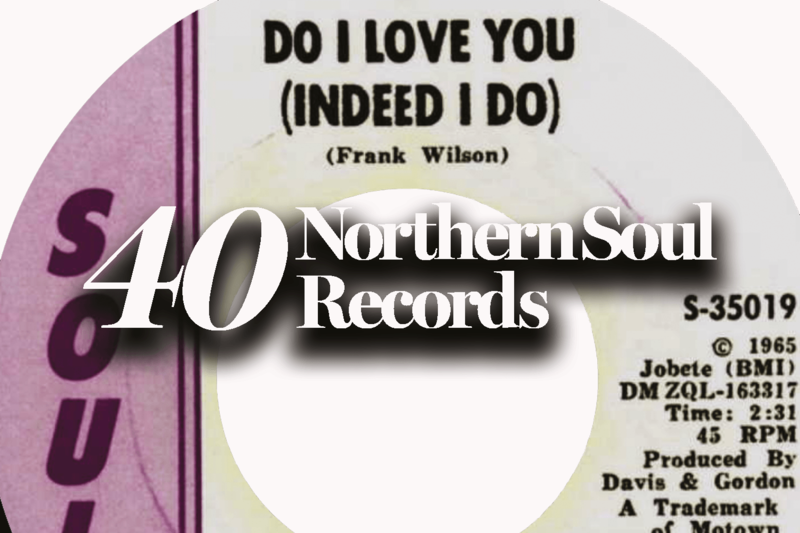 Perhaps the two most famous Northern rarities are Frank Wilson’s Do I Love You (Indeed I Do) and Darrell Banks’ Open The Door To Your Heart. 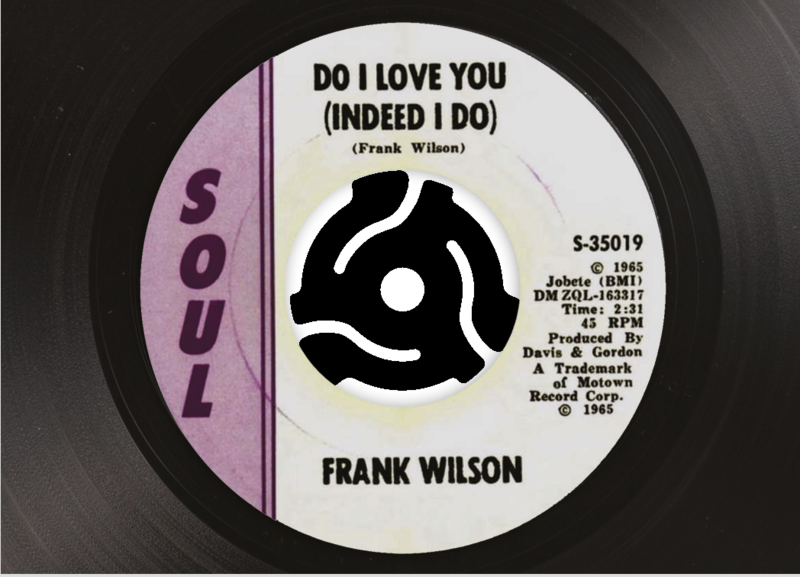 Only two copies are known to exist of Wilson’s super-rare soul waxing, as Motown boss Berry Gordy destroyed the batch when Frank moved over from artist to songwriter for the label. Legend has it one of these hallowed ‘Quality Control’ copies (autographed and in a plain white sleeve) was supposedly ‘borrowed’ from Motown’s LA archive, but never returned. It appeared at auction in 2009 and sold for an eye-watering £25,742 to an anonymous buyer (rumoured to be Wilson himself). There are numerous mouthwatering Northern Soul rarities in circulation, but a few to look out for include Don Gardner’s Cheatin Kind, JD Bryant’s I Won’t Be Coming Back, Junior McCants’ Try Me For Your New Love, Mello Souls’ We Can Make It, Frankie Beverly & The Butlers’ Because Of My Heart, The Magnetics’ I Have A Girl and The C.O.D’s She’s Fire. Williams is best remembered for his fleeting – yet seismic – run of R&B sides for Specialty in the 50s, while Johnny ‘Guitar’ Watson is famed for his incredible chops. These two dandy cohorts came together in the mid-60s for a flamboyant communion that was occasionally sheer perfection. This B-side is one, juxtaposing lush orchestration with the tale of a cheating woman. Looking like partners in crime in the truest sense, the pair appeared on the sleeve straddling the bonnets of identical Cadillacs. While Williams was clearly a talent, tales of his excess and violent end have often overshadowed his genius. From the moment Ian Levine first introduced Jones’ sultry sounds to the crowd of soulies at the Highland Room in Blackpool’s Mecca, her legend was assured. And soul singers don’t come much more talented. Author Stuart Cosgrove recalls: “When the song ended, something spontaneous and remarkable happened. Dancers would simply stop dead and clap, a resounding applause that would continue until the next record began.” Renowned expert Tim Brown says her name “should be whispered with reverence whenever true fanatics meet, due to the range and the sheer melisma of her powerhouse vocals”. 10 years as part of her mother’s gospel choir served as a fine apprenticeship for this Alabaman songstress, who found early success backing everyone from BB King to Duke Ellington. Her debut appeared on Riverside in 1963, followed by several more attempts (as Tobi Lark) cut for independents Palmer, Topper and U.S.D. With no chart action, Tobi relocated to Montreal and enjoyed a change in fortunes. Shortly after, she produced this career highlight. Released on Bell subsidiary Mala, this 45 received the cold shoulder at the time, but when appropriated by the soul crowd in 1970 it became part of the ‘Three Before Eight’ – the tracks that closed out the Wigan Casino all-nighters. This young talent, born Kendra Spotswood, hailed from the same New Jersey neighbourhood as Clyde McPhatter and The Isley Brothers. When her soon-to-be-boyfriend, music man Van McCoy, moved in next door, sessions with The Four Buddies followed, as did her Philips debut Can’t He Take A Hint? and follow-up Back With My Baby (as Kenni Woods Sheldon), before a two-year tenure with The Shirelles. She was back to her birthname for 1965’s Stickin’ With My Baby, and followed it with this Northern stomper. It bombed on release, but with breakneck beats, lavish orchestration, a timeless hook and some radiant backing vocals, it fitted the Northern mould perfectly.